It's a fact. We are utterly spoilt for choice when it comes to the number of incredible restaurants we have—be it Japanese, Italian or French. It’s a luxury that we don’t take for granted; hence, this year, in partnership with HSBC, we have come up with our inaugural list of Top 20 Restaurants in Singapore. It was no easy task considering the vibrant dining landscape and equally-talented chefs. But with the help of our expert panel of reviewers as well as intensive deliberations within the team, we present to you the best culinary destinations. It’s the personable service and excellent fare that sets this Italian restaurant apart from many establishments. It also helps that a trip here feels like visiting chef-owner Beppe De Vito’s home. Prepare your appetite for he’ll welcome you (like a true Italian) with progressive dishes cooked using the Josper oven or shichirin grill (hence, the name which means embers in Italian), paired with equally innovative cocktails. Since it opened its doors in 2013, the barbecue restaurant by renegade Aussie chef Dave Pynt has been perpetually fully booked (with a waitlist that can take up to two months). Meat lovers and gourmands alike come here for excellent meat cuts, mostly sourced from Down Under, cooked on the custom-made grills that render them juicy and succulent. Adding to the overall experience is the open-space kitchen which provides front-row seats to see the chefs in action. More and more people are paying attention to Peranakan cuisine, in part due to chef Malcolm Lee’s tireless effort to put it on the global culinary map. He does so by tapping into traditional dishes he enjoyed as a child, and injecting them with modern ideas to ensure they remain delicious and relevant in today’s market. The restaurant’s success can be attributed to the teamwork of chef-owner Rishi Naleendra and his wife and general manager, Manuela Toniolo. He takes charge of the creative side with his inventive mod-Aussie cuisine, while she serves as the sommelier while ensuring everything runs smoothly. This has won them loyal fans who continue to look forward to creative plates and pleasant service. Trained in French cooking techniques, chef patron Jason Tan has created ‘gastro botanica’ cuisine which puts emphasis on the perfect balance of protein and botanical elements. It’s an innovative concept that has earned him rave reviews from food critics and tons of accolades. But for chef Jason Tan, it’s all about cooking food that ‘tastes good’. Leave it to chef Andrew Walsh to impress palates with his modern European fare featuring fresh produce, prepared in inventive ways including curing, marinating and fermentation. Every course in the tasting menu is a delicious surprise, from the pretty amuse bouche to the lip-smacking dessert. When you’ve got Wolfgang Puck’s name attached to a restaurant, you know it’s bound to be good. And Cut delivers on all aspects—from the steak-driven and sumptuous menu to the excellent wine list and stellar service. This remains one of our top choices when we want to pamper ourselves with a hearty meal. This Japanese restaurant, helmed by chef-owner Shigeru Koizumi (formerly of Odette), is arguably the hottest opening this year. Koizumi offers an elevated yet authentic expression of Japanese fare built around the micro seasons in his native country. Attention to detail is evident in the well-curated menu and unique tea pairing programme, which you can enjoy within an elegant and minimalist space. The French stalwart by chef Gunther Hubrechsen has garnered renewed attention after its stylish facelift this year. But it's the classic French cooking that keeps diners coming back for more. Hubrechsen is a master of letting ingredients flavours shine in dishes that may look simple but deliver in terms of taste and presentation. A worthy addition to our dynamic dining scene. Executive chef Kirk Westaway, who has been heading Jaan for three years, comes into his own with his Reinventing British cuisine. He takes great pride in his heritage by showcasing seasonal produce from his native country, which he skillfully transforms into delectable dishes such as the English Garden comprising 36 ingredients, and his own take on the quintessential fish & chips. The Chinese restaurant under the helm of Hong Kong born chef Tim Lam continues to dish out excellent Cantonese fare, which makes it worthy of a spot in the top 20. While classic dishes reign here—especially the dim sum selection—the menu is peppered with contemporary renditions worth ordering. Such is the signature of Peking duck that comes with all the trimmings—and gloriously paired with marine fresh oscietra caviar. Enter the mind of talented local chef Han Liguang through his award-winning restaurant, Labyrinth. It serves as his platform to put modern Singaporean (ModSin) cuisine on the global stage through classic local dishes—given a modern reworking. And diners are always in for a wonderful surprise with creations that include the Heartland Waffle topped with a local duck liver pate and goji berry jam. Since it opened its doors, we knew that Meta, the brainchild of Korean chef Sun Kim, was destined for great things. While Kim admitted that the restaurant stumbled in the initial stages, it found its culinary identity of serving French fare with Asian touches—particularly Korean to showcase his rich background. It received its first Michelin star last year, and is now part of the coveted list of 20 best restaurants in Singapore. With a growing interest and palate for local fare, veteran chef Violet Oon continues to be the custodian of heritage flavours. The beautiful restaurant at National Gallery Singapore remains a temple for Peranakan fare, where gourmands flock to have a taste of her signature dry laksa or buah keluak ayam. The restaurant has garnered a loyal following, thanks to chef-owner Ivan Brehm’s ‘crossroads cooking’. 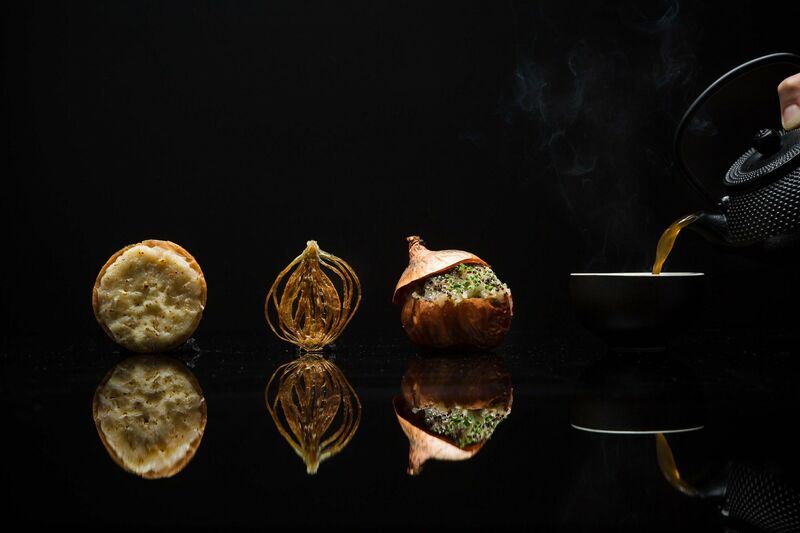 The Fat Duck alumnus, who used to be its developmental chef, takes inspiration from different cuisines around the world and marries them to create a truly unique and memorable menu. What is a best restaurant list without Odette, which veteran food writer Annette Tan affirms has set the standards in the local fine dining scene. We’ve got lauded French chef Julien Royer to thank for that; his produce-driven approach to cooking results in a smart and skillfully executed menu that delights and satisfies. Chef de cuisine Heidi Flanagan’s culinary philosophy is all about “gathering friends and families with dishes that nourish the soul and respect the ingredients’ origins.” It resonates with local diners, who continue to flock the restaurant for its mouth-watering land-and-sea-focused menu that only carries sustainably-sourced seafood and a bespoke beef selection. With one delicious meal, the stalwart transports diners to Japan, thanks to its beautifully crafted menu that’s built around the four seasons. Head chef Shunsuke Yoshizawa pays great attention to every detail, such as ensuring that rice is served at the right proportion and temperature to enhance the overall flavours. Gourmands in Singapore are lucky that we have no shortage of excellent Japanese restaurants. Add this respected sushi-ya to the list, which serves Edomae-style delicacies in a seamless and delicious omakase menu. The experience is always enhanced thanks to the ever affable Tomoo Kimura, who’ll entertain you with good food and funny anecdotes throughout the meal. Chef Tetsuya Wakuda’s Singapore outpost continues to shine in the dining scene, thanks to its sumptuous degustation menu that showcases Japan’s freshest and seasonal ingredients. It also wins major points for its stellar service, with the staff taking the concept of omotenashi or Japanese hospitality to heart.